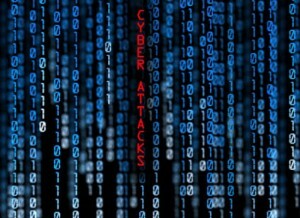 Currently viewing the tag: "Military science"
Cyberwarfare (Cyber War Definition or Cyber Attack Definition – sometimes written in error as Cyber War Fare) can be defined as actions by a nation-state to penetrate another nation’s computers, networks, and information systems for the purposes of causing damage or disruption. This damage and destruction can range from tactical to strategic impacts. With the focus on effects from Cyber War being “all the rage” these days this little gem from 1983 highlights one of the major inflection points where we had the opportunity to do something about the cyber vulnerabilities that have now grown exponentially while becoming exponentially more difficult and costly to correct. The movie which demonstrates hacking and phreaking (and accidentally nearly starting Global Thermonuclear War) is a must see. 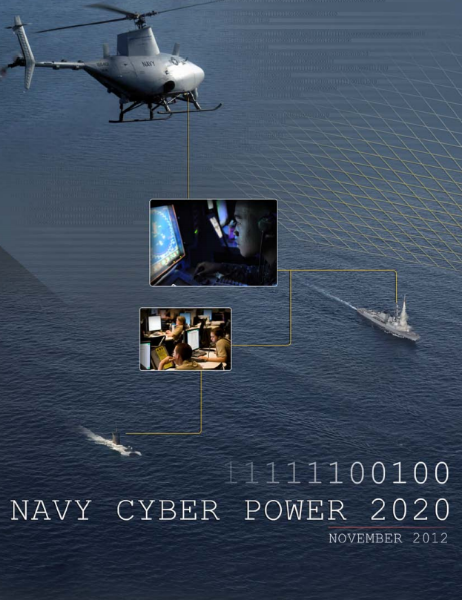 I’m not sure you can aspire to be A Cyber Fellow without owning WarGames (or at least having watched it several hundreds of times). Right now you can pick up a copy on Blu-ray for $7.99. For those striking to become a Cyber Warrior I definitely recommend checking out this flick and adding it to your list of movies with cyber warfare. 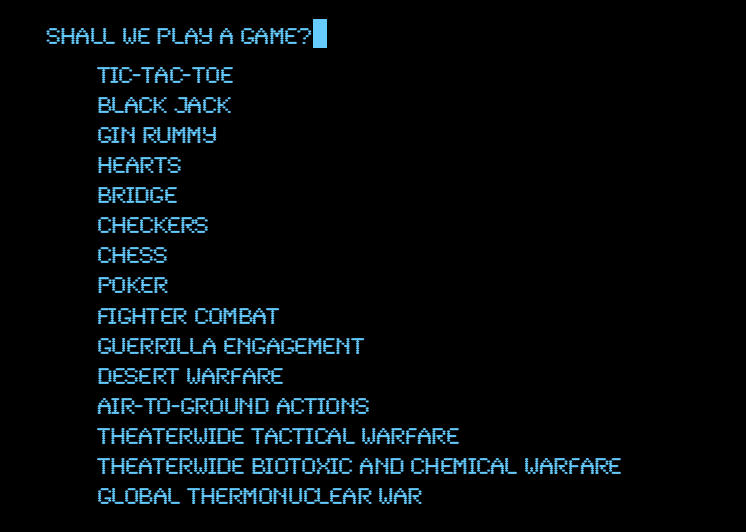 Once you watch the movie I recommend enjoying the a few rounds of the game at the Global Thermonuclear War site. Enjoy!